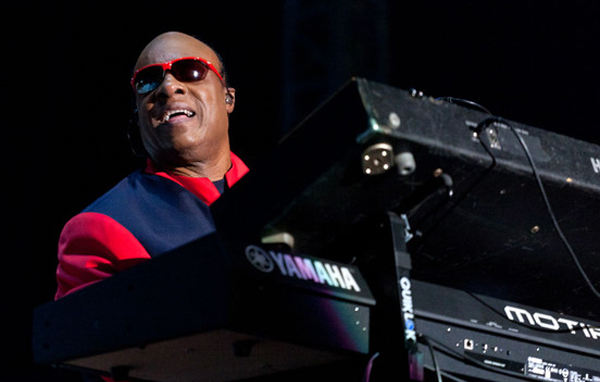 Stevie Wonder will hit the road this fall to celebrate his iconic 1976 magnum opus, Songs in the Key of Life. The double-length disc will be played out in its entirety on an eleven-city U.S. tour, giving diehard Stevie fans an up-close visual of the genius playing some of his best work ever. The tour, sponsored and produced by mega-ticket seller LiveNation, will kick off on November 6 at New York’s Madison Square Garden and will wrap up tentatively on December 5 at Oakland’s Oracle Arena. Tour stops in between will include Chicago, Atlanta, Toronto, Boston , Washington D.C., Seattle, Auburn Hills (a suburb of Detroit), Philadelphia and Las Vegas. The diamond-certified collection gave birth to four Top 40 hits (“Another Star,” “I Wish,” “Sir Duke,” “As”). “I Wish” and “Sir Duke” both hit number one pop. “Isn’t She Lovely,” another album favorite, landed on the Adult Contemporary charts at number 23. In 1977, Wonder also picked up seven Grammy nominations, including Album of the Year. Absent at the awards’ ceremony, Wonder’s album won four out of the seven nods, including Album of the Year, Best Male Pop Vocal Performance, Best Male R&B Vocal Performance and Producer of the Year. Performing the entire mammoth album isn’t a feat that hasn’t been done before. Last year, Wonder performed the entire double LP at a benefit concert for his charity House Full of Toys at the Nokia Theatre in Los Angeles. No word if any encores will feature other Stevie cuts or even the four songs on the bonus 10” disc (“Saturn,” “Ebony Eyes,” All Day Sucker,” “Easy Goin’ Evening”). This September marks the 28th anniversary of the album’s release. Tickets will go on sale September 22 at LiveNation.